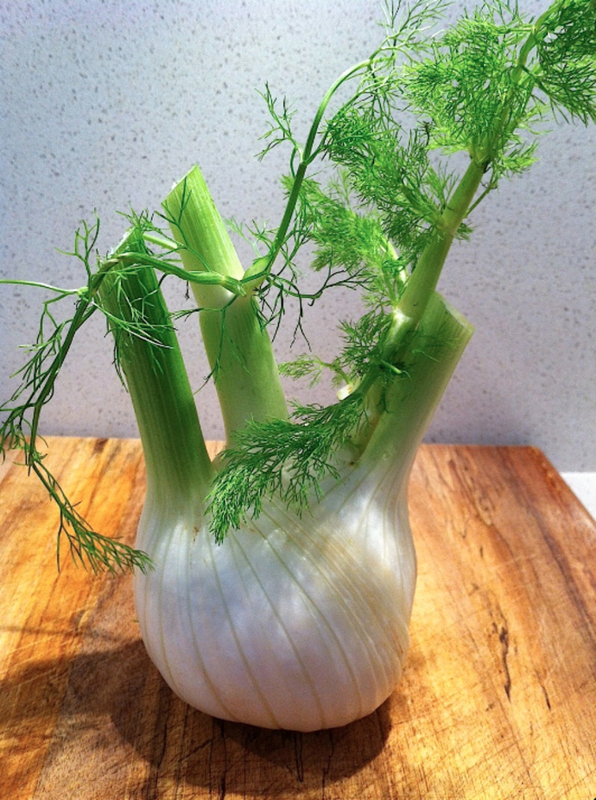 Fennel can be a mystifying vegetable to cook with. Eaten raw it’s crunchy and has a slightly sweet and licorice flavour. When cooked the texture resembles braised celery or bok choy but loses none of its signature aniseed taste. It’s a popular ingredient in Mediterranean cooking and with the myriad of cultures exploding in Australian cuisine there has been a steady increase of chefs cooking with this vegetable. 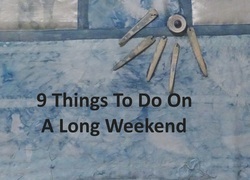 It’s available year round but is more prevalent from autumn through to spring. Fennel is closely related to dill and coriander, so for a different refreshing burst of flavour substitute those herbs with fennel. The great thing is that the bulb, stalk, leaves and seeds are all edible. I often serve this salad when we BBQ as the aniseed lends itself well with all meat, chicken and fish. I use a simple home-made lemon vinaigrette to dress the salad. 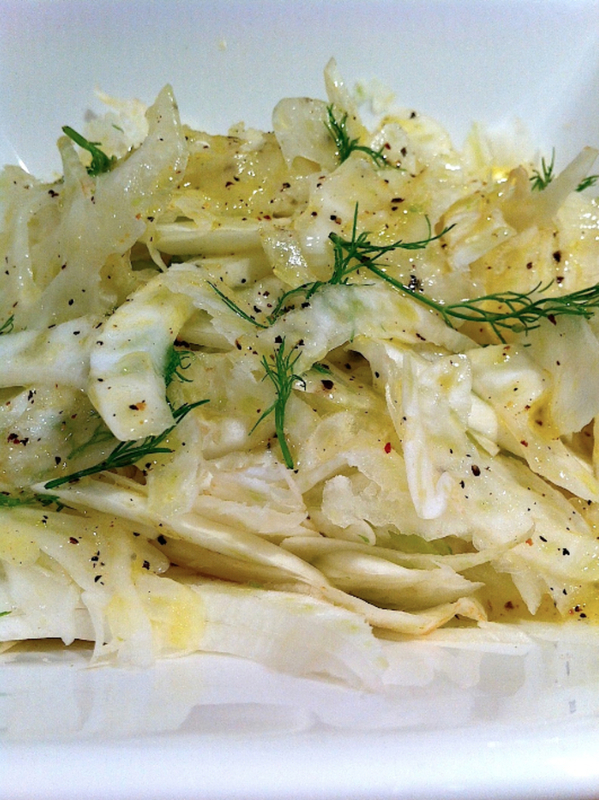 Fennel Salad with Lemon Vinaigrette. 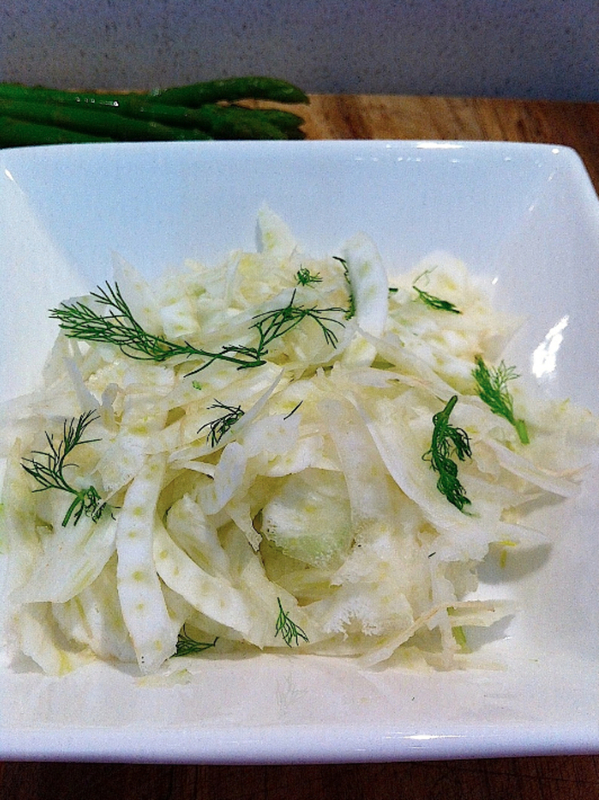 Using a vegetable peeler or knife finely slice and grate the fennel. Put into a bowl and set aside to make the lemon vinaigrette. Slice or grate the fennel finely. In a small bowl combine the lemon juice, pepper, extra virgin olive oil and mix thoroughly. 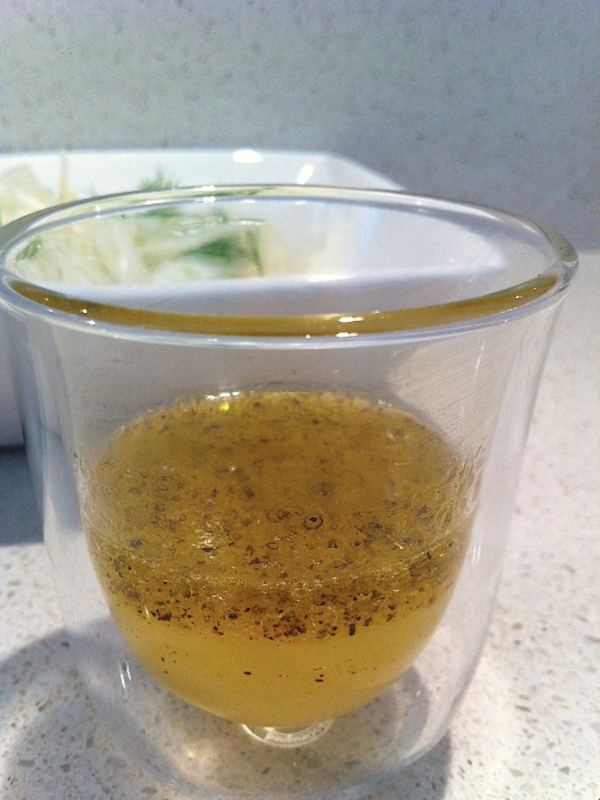 Lemon Vinaigrette is so tasty but simple to make. Drizzle the lemon vinaigrette over the fennel and sprinkle some of the feathery leaves to garnish the salad. 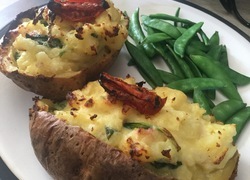 Eat on it’s own as a salad or serve as an accompaniment to a main dish. I sometimes mix red grapefruit segments into the salad to add zest and colour to the fennel.